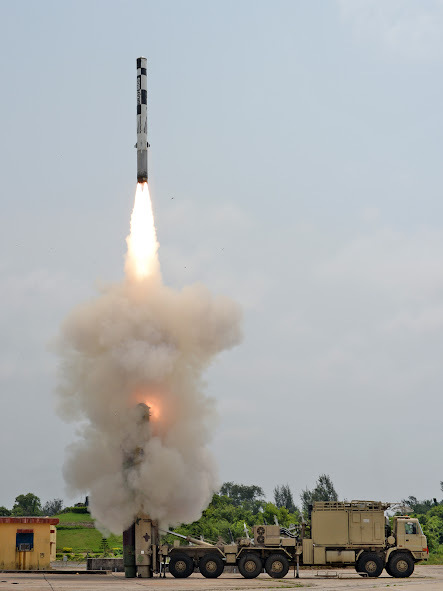 The Brahmos Block-3 LACM tested today (May 8, 2015) was likely the Block III Near Vertical Dive variant of the missile. 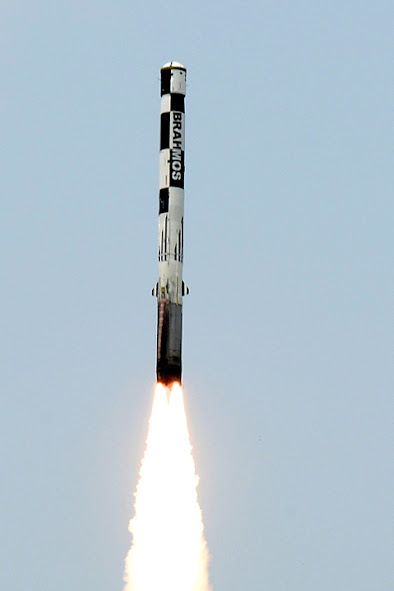 On October 16, 2014 Brahmos CEO Sudhir Mishra told The Hindu that a near vertical dive variant of the Brahmos Block-III missile was under development. “We want to demonstrate a 'near vertical dive and surround' capability to take the enemy by surprise. While radars do not have 360 degree coverage in the mountains, we would like to show the missile taking a turn in the horizontal axis and decimating the target around the hill. We hope to do this in a year’s time,” Mishra said. ...Meeting all flight parameters including high level maneuvers, the supersonic cruise missile successfully hit the designated land-based target with desired accuracy, officials confirmed. The reference to the high level maneuvers may well be the 'turn around the vertical axis' that Brahmos CEO Sudhir Mishra told The Hindu about.